Late. Dr. B. V. Raju, was the Founder Chairman of Dr. B. V. Raju Foundation, Sri Vishnu Educational Society and Vishnu Dental College. He was a prodigy of industrial discipline, unusual perception, scholarship, workmanship and creativity. He was a man of vision, inspiration, confidence, diligence and above all humanity. Dr. B. V. Raju had a normal childhood like any other child of his age, with joys and sorrows in equal share. He grew up to be a man who accepted his success humbly and learnt from his failures. Though he started his career as a low level employee in the cement industry, his sincerity and hard work elevated him to the position of Managing Director and Chairman of Cement Corporation of India. Within a span of six decades, he established a number of factories under the Raasi Group of Industries, which included Sri Vishnu Cements Ltd., Raasi Refractories Ltd., Raasi Ceramics Ltd., and Raasi Finance and Investments Ltd.
His achievements in the immeasurable services in the industrial field as well as towards the society won him the Padma Shri in the year 1977 & Padma Bhushan, one of the most prestigious awards by the Govt. of India in the year 2001. He was also awarded Honorary Doctorate by JNTU, Hyderabad. 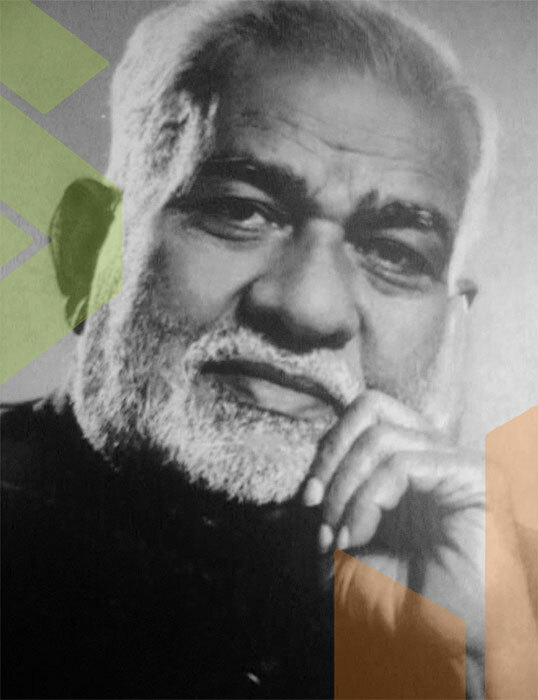 Being an earnest scholarly man, he knew the best value of education and thus diverted his focus from industrial field to the vast field of education to set up a series of colleges under Dr. B. V. Raju Foundation and Sri Vishnu Educational Society, with two campuses in Narsarpur & Bhimavaram respectively. These various institutions in the society work towards to inculcate a sense of value in the minds of students and to equip them to serve the society well. The university and state ranks achieved by the students are themselves a mark of academic excellence and quality education provided in these colleges by qualified, experienced and dedicated staff. Throughout his life, both as an industrialist and an educationalist, Late. Dr. B. V. Raju lived an exemplary life & continued to devote himself to the service of the people. He always kept his doors open to the poor and needy and participated actively in welfare programmes for improving the socio-economic conditions of the society. His services for the welfare of the people are innumerable and invaluable. Late. Dr. B. V. Raju taught us that the well-to-do have a responsibility towards the less fortunate. His message of “SERVE HUMANITY IN YOUR CAPACITY” is simple and straight stating that though we may not be in a position to help everybody, we can at least start by helping a few, because it is the motto of service in us that is important.